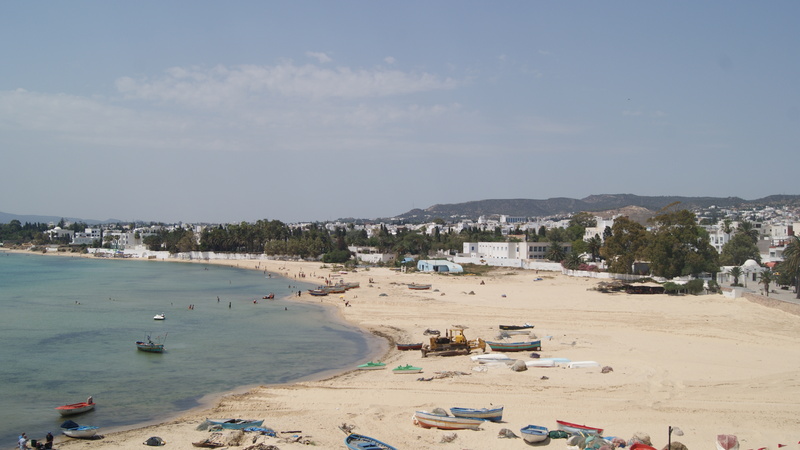 Hammamet is Tunisia's original tourism resort. With its sandy beaches and pretty, well-preserved Medina (Old Town), it's a gentle introduction to the culture and traditions of North Africa. 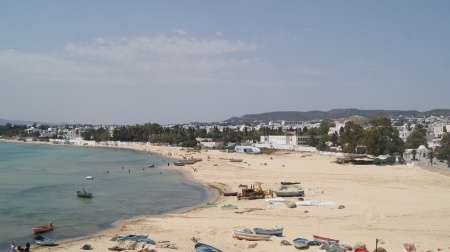 Sightseeing here usually comes second to general lazing about in the sun, but if you find yourself itching to get off the beach, Hammamet is perfectly placed as a base to explore the rest of Cap Bon's tourist attractions. The reported number of inhabitants varies from 100,000 to 400,000 and the population quadruples due to tourists' arrival in the summer. It is particularly known for jasmine, and this is how the tourist resort of Yasmine Hammamet got its name. All over Hammamet, souvenirs made of jasmine can be found. Around Hammamet, all kinds of immigrant towns/suburbs are being built as immigrants from the southern part of the country come to find work. 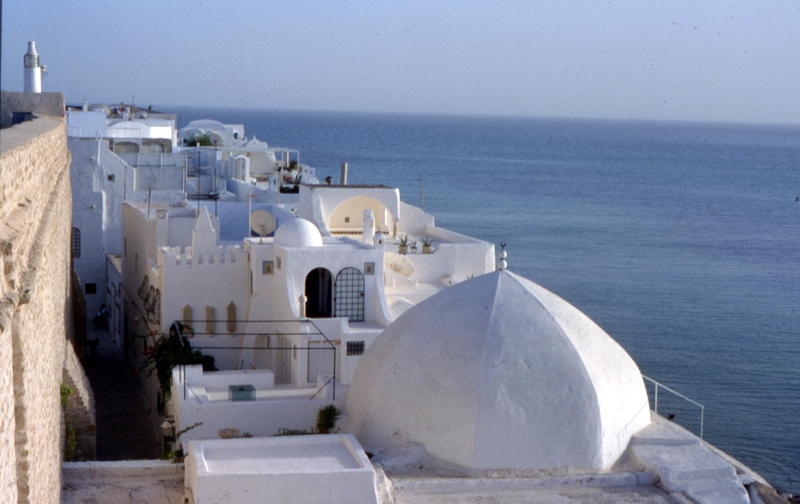 As a popular destination for tourists, it brings a lot of money to Tunisia. Hammamet stands on the shores of a gorgeous gulf The Gulf of Hammamet on the Tunisian eastern coast. Social life in the city dates back to immemorial times. The evidence stands in a plethora of archaeological vestiges and historical documents. There is no doubt that a fertile land, a mild climate added to a privileged geographical situation have been determining factors in attracting people to this area, which bears the stamps of several civilisations. During the Roman era Hammamet then called "Pupput" witnessed a flourishing economy thanks to fast-developing agriculture and trade and to a remarkable expansion of urban life. It was no surprise that by the year 176 A.D, it was raised to the rank of municipality and became a thriving Roman city. It was reported that Sylvius Julianus, a Roman illustrious man living in Hammamet, had contributed greatly to the prosperity of the city. As for the name of the city, "Hammamet" history books say that it ases back to the 9th century of the Christian era but there is no agreement on its origin. It has been suggested that it is the Arabic word "hmam" which means pigeons certainly because of the huge number of pigeons that have always filled the city's blue sky. It has also been suggested that the city was named after the important number of Roman thermal baths, the vestiges of which can still be seen in the archeological sites of "Pupput" and "Borj El Ghoula". The "Ribat" (the fort) was built near the beach at the end of the 9th Century of the Christian era with the aim of protecting the city and defending the coasts of the country. 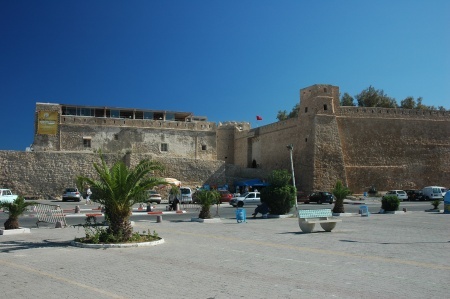 The "Ribat" remains an important historical monument. Later, in the 12th Century, a wing of the Great Mosque was erected During the same period, Roger II, king of Sicily, entered Hammamet and seized the fort for military use. 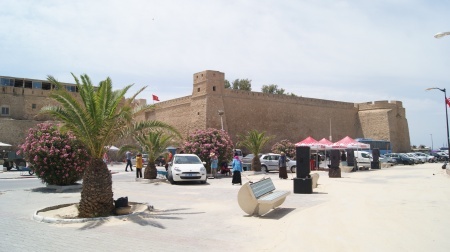 During the first half of the 13th Century of the Christian era, the Hafside prince Abu Zakaria completed the building of the Great Mosque and erected ramparts to strengthen the protection of the town. From then on, Hammamet gained in importance and status and became even the residence of the Great Cadi the man who ruled over the whole region of the Cap Bon. In 1560 A.D, the Turks who were then fighting the Spanish invaded Hammamet and established some of their military detachments in the fort. They only left at the collapse of the Ottoman Empire. 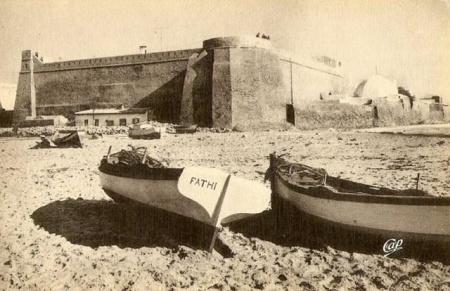 Hammamet Continued to be a lure to colonial powers, and soon came the French, whose army seized the town after a four-day fighting (August 26th, August 29th 1881). Hammamet fell then under the authority of a military French commander and a civil French supervisor. However, the locals were not to accept this situation and they contributed actively and bravely to the fight for independence. The bloody combats that took place on January 21st, 1952 are a testimony of these people's courage and determination to get rid of the invader. During this combat, the militants Taieb Azzabi and Khemais Triki were savagely slaughtered by the colonial soldiers. 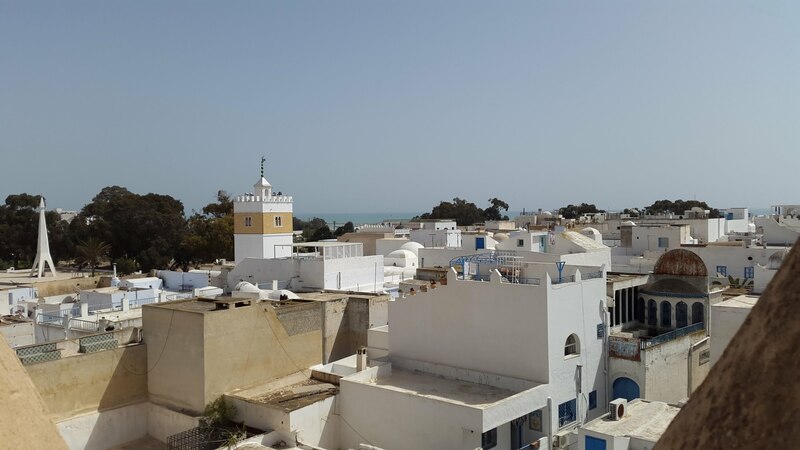 Within the independent Tunisia, Hammamet has continued to be a prosperous city, which enjoys social progress and economic expansion as well as an astonishing urban development. It has especially become a leading tourist center that enjoys an international reputation.